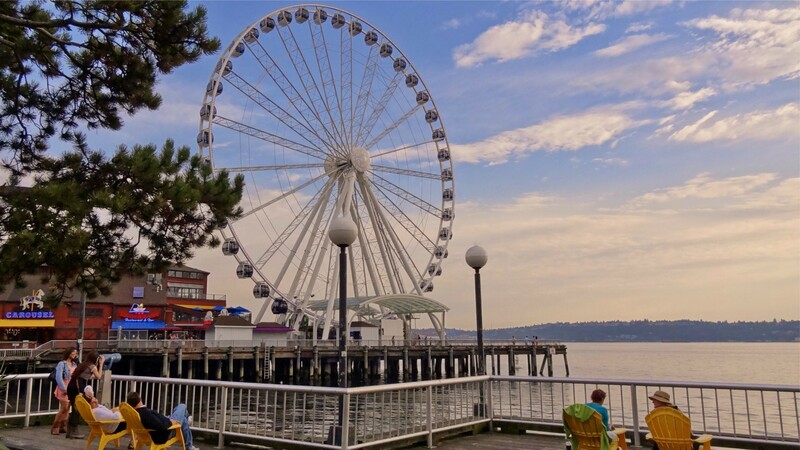 Enjoy a trip to the Seattle waterfront, have lunch with friends, plus some exciting experiences! Great Wheel $12: Take a ride on the iconic Seattle Great Wheel on Pier 57 and see the city of Seattle like never before. Each gondola can fit eight people and provide an amazing ride that lights up the sky at night. Wings Over Washington $17: Take a ride in the state-of-the-art “flying theater” that will transport you on an aerial adventure above one of America’s most scenic and beautiful states, Washington. Additional Information: Bring extra money for Great Wheel, Wings Over Washington, and Lunch. No refunds will be given after June 10.